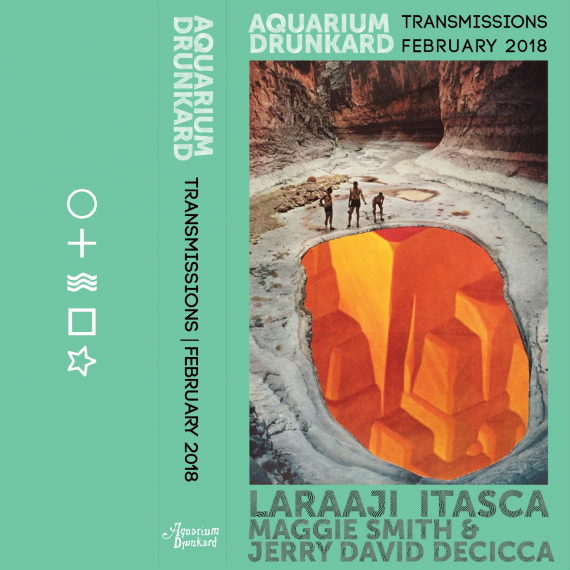 Welcome to the February (just under the wire) installment of Aquarium Drunkard’s recurring Transmissions podcast, a series of interviews and audio esoterica from Aquarium Drunkard. We’ve got an introspective episode for you. First, we sit down with Kayla Cohen of Itasca, to discuss her new mini-album, Morning Flower. It’s a collaboration with writer and artist Gunnar Tchida, and it focuses especially on Cohen’s lyrical guitar work. Which makes sense: in April, Cohen plays the Thousand Incarnations of the Rose festival, a celebration of the American primitive guitar tradition. I asked Cohen how she made her way into solo guitar music, and explored how the music of Robbie Basho, whose composition the festival is named for as well as a forthcoming compilation via Craft Recordings. latest book is named, but there’s a lot more to her work than that. For the Transmissions podcast, Smith’s readings are paired with instrumental recordings from Jerry David DeCicca’s new album of spacey Texan folk, Time the Teacher. It’s an album that “feels true,” Smith says in her accompanying notes, so it was a pleasure of ours to combine the truth of Smith’s words with the truth of DeCicca and his band’s sounds. Finally, we close out the show with words from new age/cosmic composer Laraaji, discussing Celestrana, his mid-80s experiment in public access television. Part meditation, part surreal comedy routine, and part ecstatic vision, the show introduced Laraaji to a whole new audience of viewers, many of whom weren’t even aware of his work with Brian Eno or albums like the recently reissued Vision Songs. Select episodes of Celestrana are streaming now on Numero Group’s YouTube channel; Laraaji was kind enough to pull back the curtain with us and explain how he found himself in front of the camera…with puppets. Kalya Cohen is emphatic that Morning Flower, her new tape on Dove Cove, made in collaboration with writer and artist Gunnar Tchida, isn’t the follow up to 2016’s Open to Chance. It’s a detour, a side trip, deep into the expanse of the American primitive guitar tradition. This April, Cohen heads to Takoma Park, Maryland, to perform at the Thousand Incarnations of the Rose festival, a celebration of the music pioneered by artists like John Fahey, Peter Lang, and Leo Kottke. But for Cohen, the most resonant touchstone is Robbie Basho, whose playing was marked by his attraction to the mystical. “I think about him in the fog of Big Sur…it’s just a different attitude…” Sitting down with AD, Cohen explained how Morning Flower, recorded in the desert of New Mexico, comes from a similar spirit. We first read Maggie Smith’s brilliant poem “Good Bones” after something bad had happened. Maybe you know the one – it’s the one about trying to convince the young that despite how it looks, they could fix this place – our place – up and make it nice. 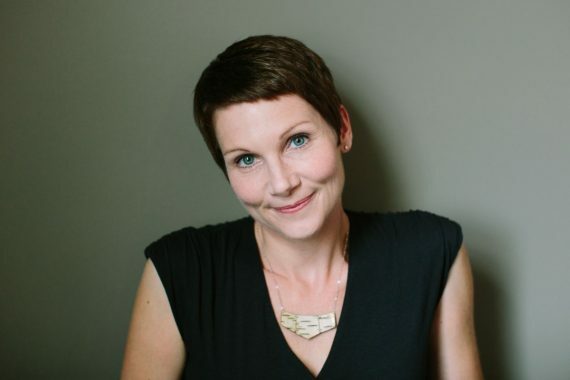 It, like many of the pieces in her latest book, also called Good Bones, is addressed to and inspired by Smith’s own children. But despite the fact that it goes viral over and over again in the wake of seemingly unceasing tragedies, Smith’s poetry is not the kind designed to make you feel better. Nor is it the kind to make you feel bad. It simply makes you feel, over and over again. It’s a collection of beautiful poems, and funny ones, and sad ones, and ones that blur the lines. But Smith’s words always make space for pleasure. And that’s something that Smith herself hears in Time the Teacher, the latest album from her friend Jerry David DeCicca. Smith writes that the record is “full of the delicious particulars of a particular life.” Recently, we interviewed Jerry, and listened to Smith read at the Piper Writing Center in Tempe Arizona. Smith and DeCicca feel tied in our head, so we asked Maggie to read some of her poems and have paired them with Jerry’s cosmic country music. In the early 1980s, cosmic composer Laraaji began hosting Celestrana, a television show on Manhattan Group W cable public access. Describing it fails to do it justice – think somewhere between Sesame Street and a lucid daydream; on the show, Laraaji would sing, play his zither, and channel strange, comic but enlightened voices through frog puppets. In his own words, Laraaji explains Celestrana. Subscribe to the Aquarium Drunkard podcast on iTunes, on Spotify, Mixcloud, Tune In, or via the RSS feed. If you like what you hear, rate and review the show, or even better, share it directly with friends. Dig into the podcast archives, which include interviews with Tim Heidecker, Eileen Myles, Daniel Lanois, Hiss Golden Messenger, Ryley Walker, Eleanor Friedberger, Idris Ackamoor, and many more. The slot canyon AQ cover photo – Silver Grotto along the Colorado River?